Constructed using American White Ash, Peruvian Walnut, and Lace Wood. Notice the wedged-through-tenon joinery designed for a long life. Contrasting splines added for strength and durability, as well as visual appeal. Constructed of American Black Walnut and Zebra Wood. 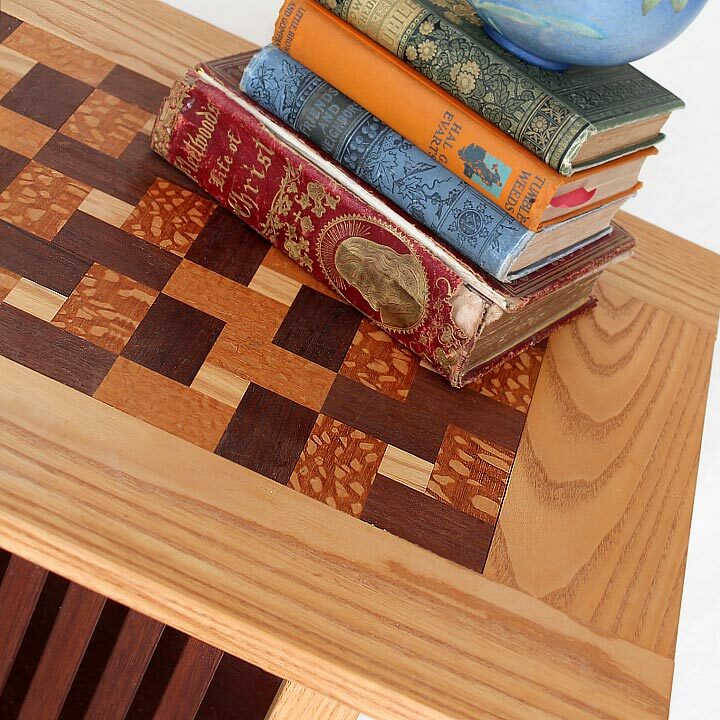 Created with an alternating quilt pattern of American White Ash, Peruvian Walnut, and Lace Wood. Constructed of White Ash and American Black Walnut with Purple Heart, Cocobolo, and American Black Walnut ladybug inlay. Notice through-dovetail joinery on the plinth (top picture).